Returning to New Labour policies would be deeply unpopular in Scotland, according to a former Scottish Labour leadership contender. 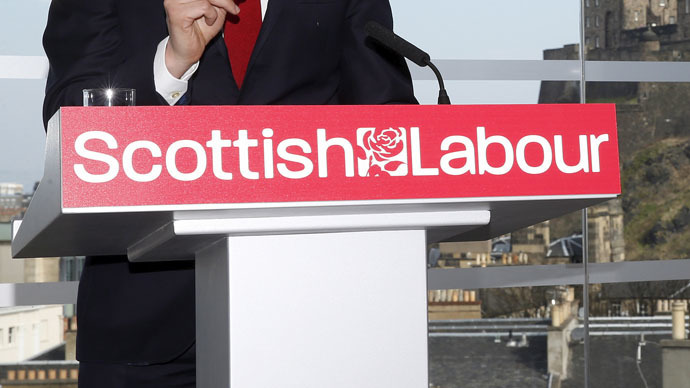 He said Scottish Labour should break away from the UK party after its crushing defeat by the SNP. Neil Findlay called for the party to become fully independent so that it could take its own positions on issues like Trident nuclear weapons. It would then be able to compete with the Scottish National Party (SNP), whose anti-austerity and anti-nuclear position saw it virtually destroy Labour in last week’s general election, he said. His comments come after Lord Mandelson, one of the chief intellectual architects of New Labour, called for the party to return to its Blairite political program in the wake of Ed Miliband’s “terrible” mistakes. Findlay told the Scotsman: “If it needs a separate Labour Party in Scotland, then so be it. He was sure the Scottish branch of the party would oppose the continued presence of Britain’s nuclear submarines. “It’s inevitable and if you take Trident, if we had an open and democratic debate, I’m convinced that the Labour Party in Scotland would vote against Trident. He also believes there are a range of other positions that the party would be inclined to take if it didn’t have to take its cue from the Labour Party in England and Wales. Amid fears of a swing back to right-wing Blairite policies with the next leadership election, Findlay warned such a lurch would be disastrous. Labour relinquished its traditional foothold in the country, with the SNP taking 56 of a potential 59 seats in the country, including the election in Paisley of 20-year-old politics student Mhairi Black, unseating Shadow Foreign Secretary Douglas Alexander.